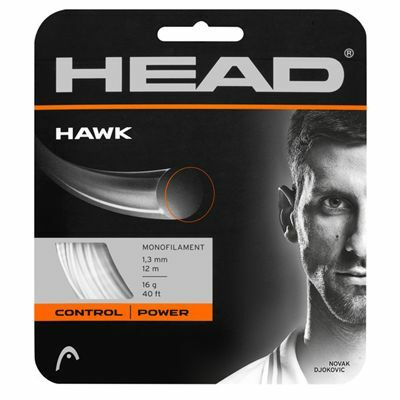 The Head Hawk tennis string has been developed in co-operation with Head’s top pro players to deliver extraordinary energy efficiency ensured by the Head Crystal Core technology which helps generate explosive power without compromising on optimised control and touch in every shot. It provides more feel and power than a conventional polyester string and has a monofilament core for improved durability. The string is supplied as a 12m (40ft) set, which is enough to re-string one racket. 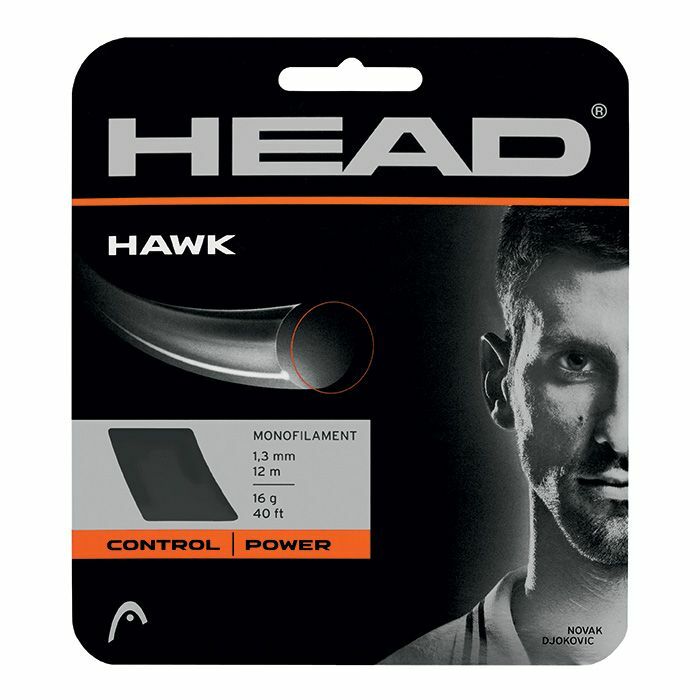 for submitting product information about Head Hawk Tennis String Set We aim to answer all questions within 2-3 days. for submitting product information about Head Hawk Tennis String Set. We aim to answer all questions within 2-3 days. If you provided your name and email address, we will email you as soon as the answer is published. I've been using these strings since two or three years ago. They're very resistant mostly with this weather (UK) and give me control and at the same time I can hit the ball with a lot of weight and topspin. for submitting product review about Head Hawk Tennis String Set.